Fearless and independent, EARS jets through the galaxy collecting stars which can then be used to acquire new equipment. EARS earns extra stars for making wise food choices, such as carrots and apples, while avoiding sugary distractions like cakes and cookies. Like any young astronaut EARS is fueled by healthy choices. 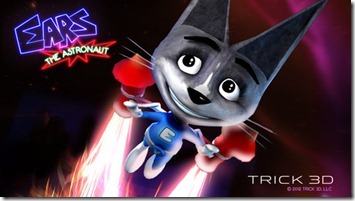 Young gamers will quickly learn the strategic moves needed to propel EARS through the galaxy, as well as distinguishing his persona through the seven fun, out-of-this-world fashion selections: suits named Bolt, Lucky, Iron Cat and Chicken. 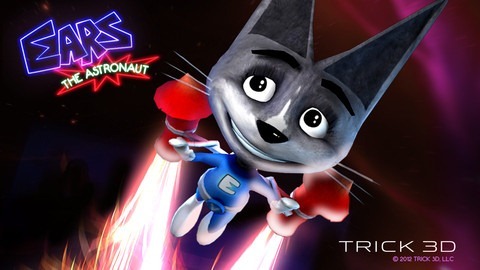 To download the free app EARS the Astronaut, visit https://itunes.apple.com, or visit EARS at www.trick3D.com and on YouTube. Compatible with iPhone 3GS, 4, 4S and 5; iPod touch (3rd, 4th and 5th generation), and iPad. EARS requires iOS 5.1 or later. This app is optimized for iPhone 5.